The fight is the peak of a nine-day event lined up to mark the 78th birthday of Oba Adeyemi. When Saturday Vanguard contacted one of the participants, who is the Vice President of Nigerian Boxing Managers Association, Isiaka Olatunji, he said a boxing belt will be presented to the winner of the bout between Alaafin and his opponent. 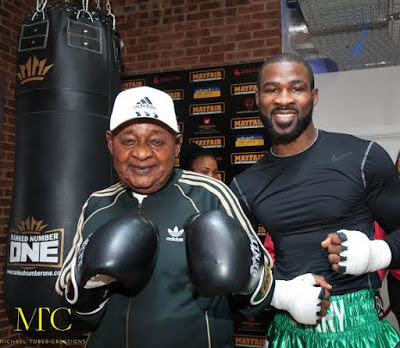 According to Olatunji, “His imperial majesty, Alaafin has been training hard everyday for the bout. I’m sure with level of his training, he is ready for the title fight. At the preliminary stages of the events, many boxers from Oyo, Edo. Delta, Osun . Kwara, Ogun, Lagos, Ekiti and Ondo states had featured and engaged one another in competitive and energy-sapping bouts. Before pugilist Alaafin mounts the ring today, a final match will come up between two other contenders. The fight holds at 11am today.